Aurelija Tamošiūnaitė obtained her PhD in Slavic and Baltic Languages and Literatures (majoring in Lithuanian linguistics) at the University of Illinois in Chicago in 2011. Between 2012 and 2016, she worked as a lecturer at the Department of Lithuanian Language in Vytautas Magnus University (Kaunas, Lithuania). In 2014 she was a recipient of Kone Foundation Fellowship at the Helsinki Collegium for Advanced Studies. 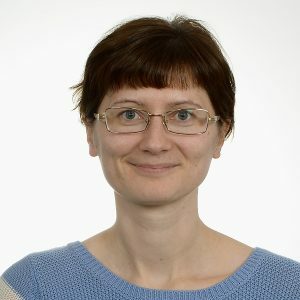 Her main research interests focus on different aspects of sociolinguistic history of written Lithuanian, with a particular attention to orthographic variation and change in Lithuanian ego-documents during the long nineteenth and twentieth centuries. Since 2008, together with colleagues in Lithuania and the United States, she has been involved in the development of the Private Lithuanian Letters Database (www.musulaiskai.lt). Aurelija has been teaching various BA and MA courses in sociolinguistics, history of the Lithuanian language, Lithuanian culture, and various levels of Lithuanian as a foreign (and heritage) language.